The FREE October Calendar download is here! This Picture was taken on a trip to the east. It was my first time to see such a LARGE field of PUMPKINS! In honor of “Throwback Thursday,” we have several links below of past sewing projects. We also included a link to the whimsical “Sew Happy” graphic. It is prominently displayed in our sewing room and you too can enjoy it in your sewing room by purchasing it from our Etsy shop. Grace Elizabeth’s watermark is not present on the purchased graphic. The FREE September Calendar download is here! This picture was taken while making Pear Salsa last year! It is tasty with grilled pork chops or pork loin. In case ya haven’t notice yet, we have an Etsy Shop! Boy that’s super exciting to announce! So far we have a few patterns and handmade things you might have seen previously on the blog. As we like to dabble in a variety of crafts – you will find an assortment of handmade goods in our shop at any time! Check out what’s in stock today here – and don’t forget to mention it to your mom, sister, neighbor, EVERYBODY! Thanks for your love and support! Throwback Thursday highlights a post from years past that we think you might enjoy! This post originally made its debut on Grace Elizabeth’s on July 18, 2012. I created this weekly calendar to put in the household binder. My favorite thing to do with this is put down EVERYTHING we will be doing. 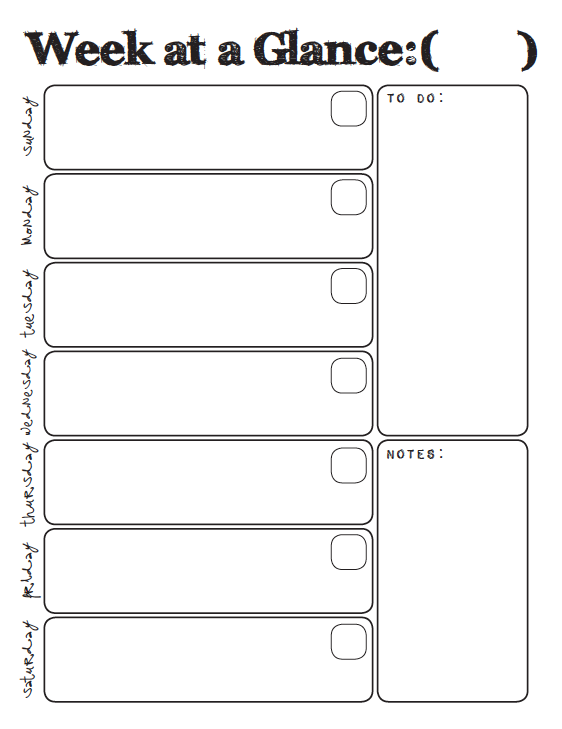 Each type of event gets its own color so we know who’s involved with what and how to prioritize when we have multiple commitments.I hope it helps keep track of your family’s busy schedule! The FREE August Calendar download is here! The picture is of the sidewalk outside the Lancaster Central Market, the country’s oldest, continuously operating farmer’s market located in Pennsylvania. I not only love the Central Market but also love hexagons and couldn’t resist capturing these bricks as a digi image.